Sharon believes in giving back to the community not only in monetary donations, but also with her time. She has volunteered with Girl Scouts, youth sports, numerous parent/school organizations, San Marcos Educational Foundation, Valley of Discovery Education Foundation, San Marcos Community Foundation and was a founding Board Member for The San Marcos Promise (a non-profit organization that supports graduates of San Marcos Unified School District with guidance and scholarships for career or college education) . She served 14 years as a San Marcos Unified School District Governing Board Member. Currently, Sharon is a Board Member for Connected Through Kids (a non-profit organization that supports foster children throughout San Diego County). 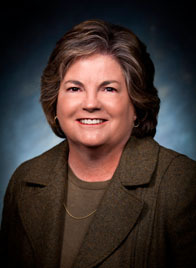 She was elected to the San Marcos City Council in November 2012.